The delicate wood frame surrounding this cabinet along with its canted body lend it a visual lightness, especially when mounted to a wall (optional). A pair would make excellent night tables. Shown in South American Rosewood with Silicon Bronze legs and hardware. 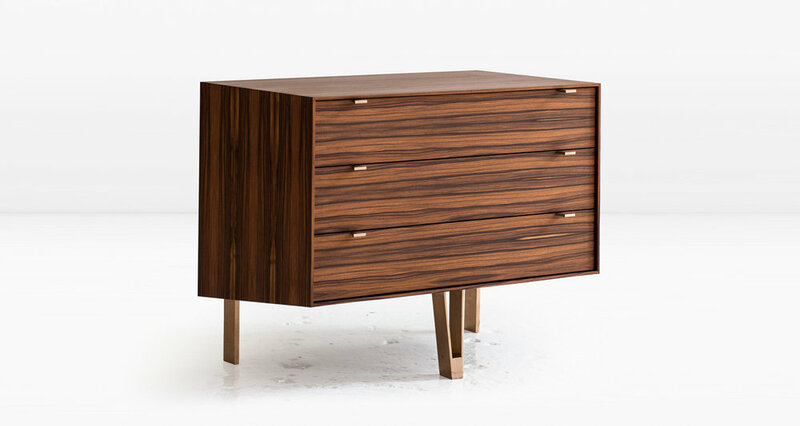 The cabinet is also available in Nickel as well as other woods and design configurations.